Looking for a Chicken Cartoon? Save these traceable images to your computer to print, or click on the pictures for a free printable pdf version. 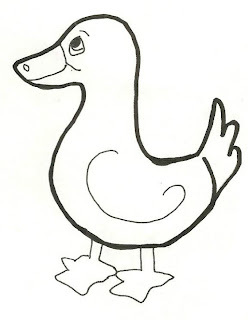 You can learn how to draw a chicken, duck, or other birds by practicing! 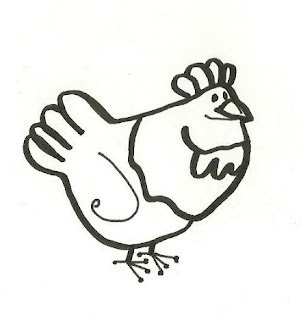 Trace these pictures or print them out as chicken coloring sheets. We've just become the proud parents of six baby Wyandotte chicks. You'll find lots of chicken art ideas. Just type "Chicken" in the sidebar browse us search bar. Enjoy! 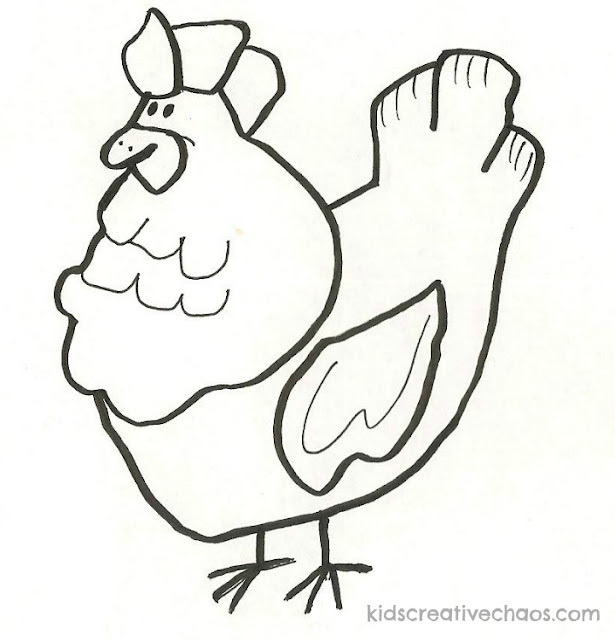 Draw and Color a Cartoon Chicken. 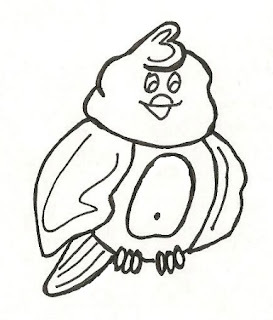 Trace a baby chicken hawk clip art.